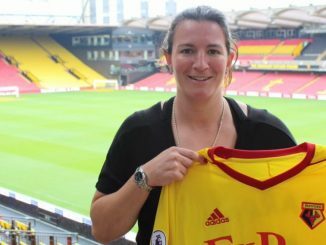 Watford have signed Wales midfielder Laura May Walkley, who had spent two seasons with Reading, winning WSL 2 with the Royals. “We are in a transition period, in terms of new players coming in, but I’m really looking forward to the challenge. I have a winning mentality whether it be in training or in matches. “I always want to win, and I think I have good experience having played in WSL1 and played a big part in the title winning season at Reading, I know what it takes to win the league. 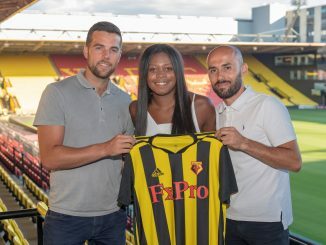 Hornets’ Head Coach Keith Boanas was delighted to have aided more proven experience to his squad, and explained it was a no-brainer once he met the player and saw her commitment and hunger to succeed. “Laura was recommended to me by another of our new signings and her Welsh National team mate Helen Ward as and I quote “my type of player”,” he said. “I wasn’t 100% sure what that meant until I saw her train for the first time and researched some video footage. She’s a tenacious and determined midfielder with great technical ability and awareness. 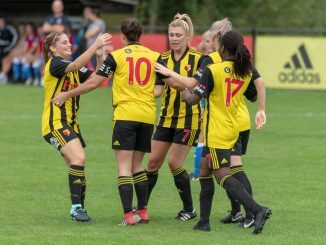 Watford have a double-header against Yeovil Town this Sunday at Slough Town FC, where the U-20s play at 1pm, with the seniors following on at 3.30pm.